Azure Stack Development Kit is the test/dev version of Azure Stack. It can be used to develop cloud applications that later will be deployed to Azure or Azure Stack. Another use is for building a small POC of Azure Stack. Because I wanted to learn more about Azure Stack I setup the Azure Stack Development Kit in my lab. My home lab is not very big on resources. The minimal requirements are 760GB of disk space and 96GB of memory. 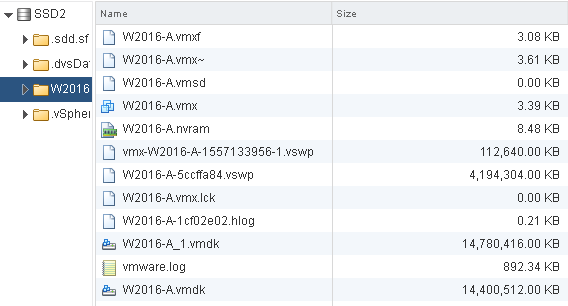 My biggest host has 64GB of memory and is running ESXi. So I tried to deploy it using a Windows VM with 55GB of memory on a datastore on one spinning disk. That did not go well. It ran for several hours but failed and was not able to finish even with several restarts.So to be successful use SSD storage. I now use a plain local Crucial MX300 which does the job. You need at least 400GB of free space on the datastore. After some googling, I found several blogs that showed how to change the memory settings of the Hyper-V VM's that make up Azure Stack. Most of the settings were for older versions of Azure Stack. There are two major changes that you need to make. Change the minimal hardware requirements check so that your VM is compatible. 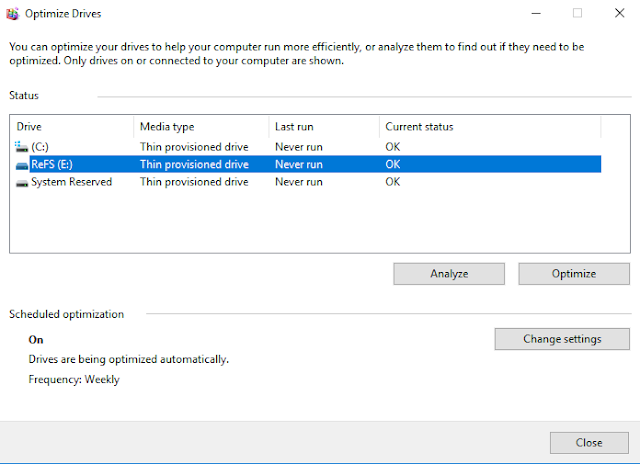 Change the resources the Hyper-V VM's will use so that they will fit within you host VM. 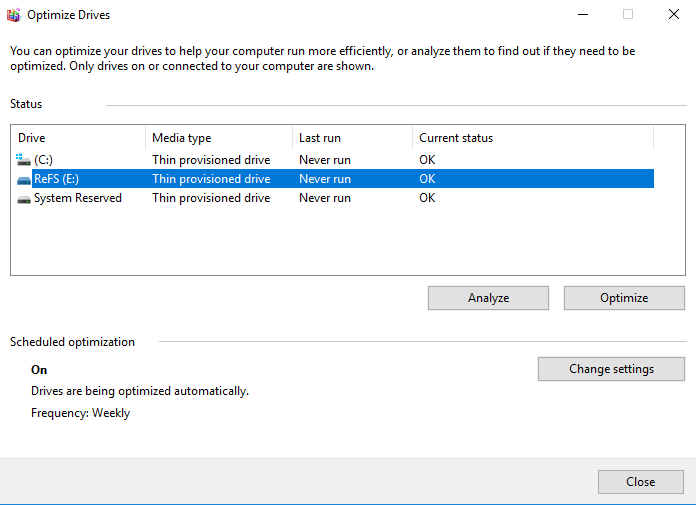 These lines were changed when trying to get to run on one spinning sata disk, you probably do not need these changes. The StartUp memory was halved, so was the ProcessorCount and DynamicMemory was enabled. ProcessorCount on 1 and DynamicMemory enabled. ProcessorCount on 2 and DynamicMemory enabled. The StartUp memory was halved and DynamicMemory was enabled. With these changes I got it working. 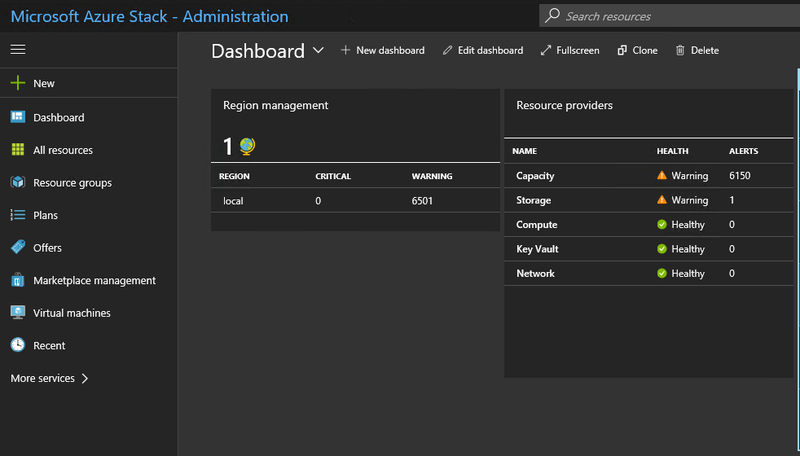 Deploy the SQL Server resource provider and the App Service resource provider. In vSphere 6.5 VMware re-enabled automatic space reclamation. 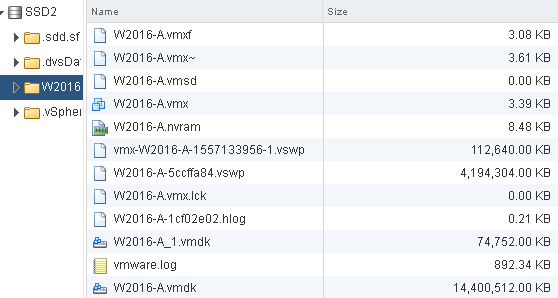 Automatic space reclamation was once introduced in vSphere 5.0 but gave a lot of problems with some arrays. 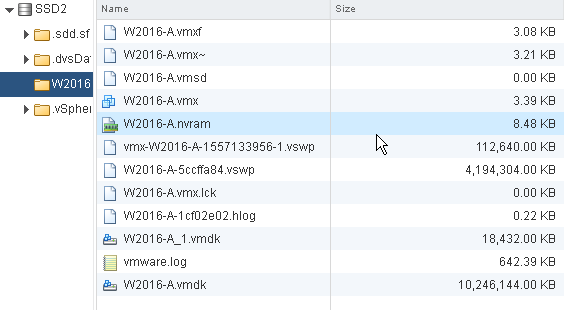 In the next update VMware disabled the automatic part. Since then I have not seen many users running space reclamation by hand. But now its back, although you have to enable it, it is not enabled by default. In this post I will show how to enable Automatic Space Reclamation with the setup in my lab and do some tests. 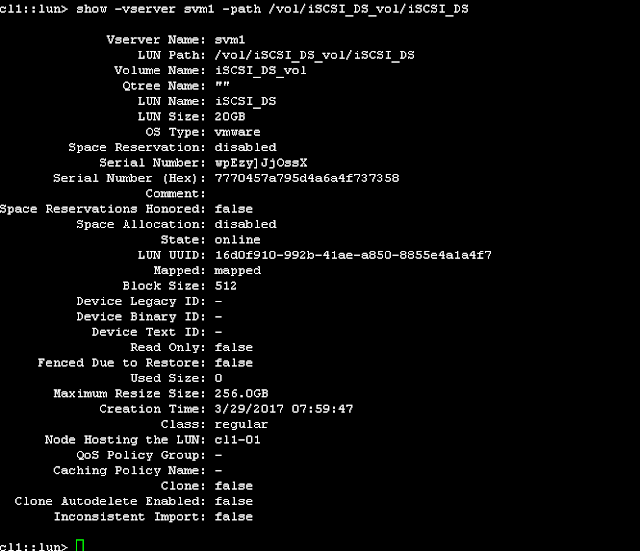 First some bad news, you will need the latest version of VMFS (Version 6) and there in no in place upgrade from VMFS 5. So you need to create a new datastore. SSD2 a a datastore on al local SSD. 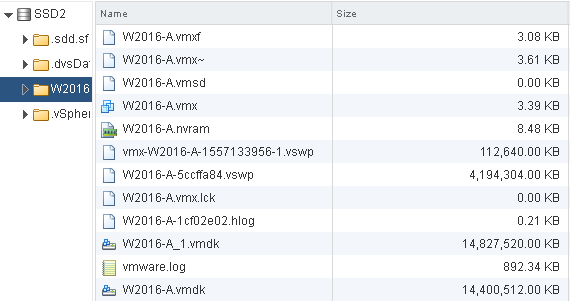 From the ESXi host you can check the settings. 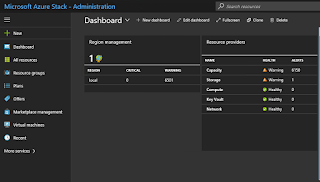 Deploy an Window 2016 vm on the datastore. It got 2 disks, the boot drive and a test drive. 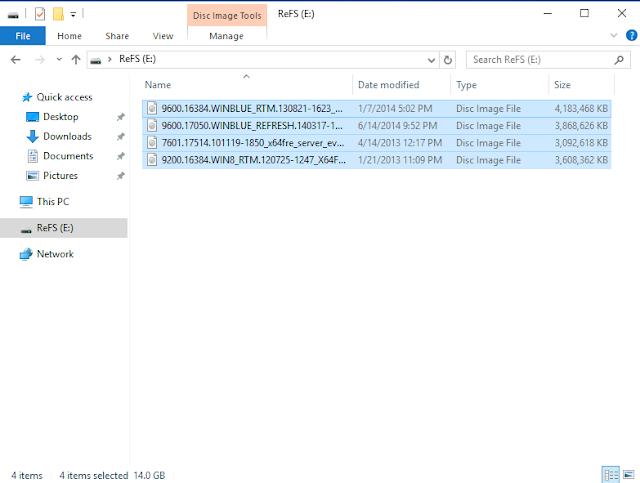 The test drive is formatted with Microsofts new filesystem: ReFS. 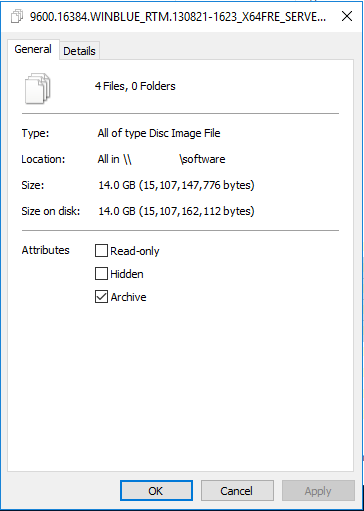 The boot disk has 10GB of data on it, the second disk is empty. At this moment the datastore has 14GB space used. Lets copy some data to the test drive. Some ISO files. So, let's look at the datastore. The VMDK has grown with data we put in it. For Windows to send the correct command the disk should be recognized as a thin disk. 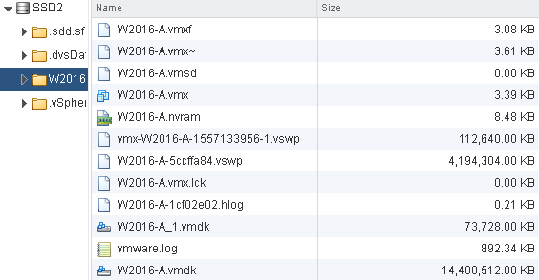 Now, test with the same VMDK reformatted with NTFS. Repeat the same trick: Copy data, then delete. And there it is: The VMDK has shrunk. 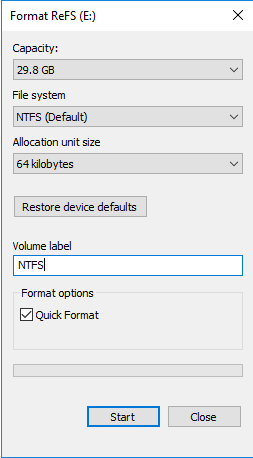 So on my local SSD this works with NTFS. 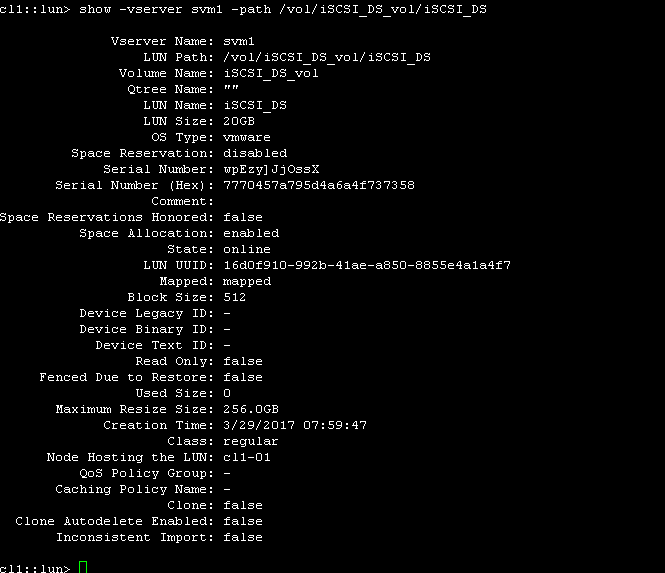 Now add a NetApp FAS iSCSI lun and use it as a datastore. The same test VM will get a new disk on the datastore. 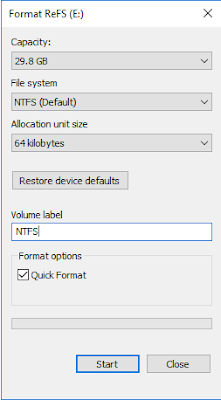 As this is no manual on how to create a lun on a NetApp controller we will skip that part but there is one setting very crucial. The -space-allocation enabled setting on the lun. Without it the ESXi host will not be able to detect that the NetApp controller is able to handle the unmap commands. As I am testing on a simulator, the lun does not shrink immediately. How fast this works on a real production system I don't know yet. From an storage efficiency standpoint this is a great feature, but you have to be willing to go thin on thin. Not many administrators would want to run manual unmap but when it happens automatic it will be used.